Hurry over to get the the WowWee Pinkfong Baby or Mommy Shark Official Song Cube for $7.99! You've probably heard the Baby Shark song… now you can bring the Baby Shark family into your home in a super soft and cuddly way! 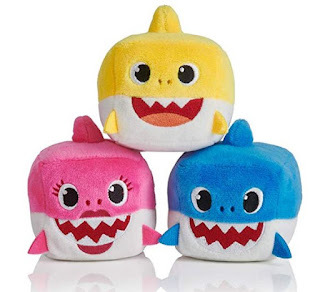 Meet our stackable, collectible Shark Family cube dolls! Squeeze them to hear the Baby Shark song, the global sensation with over 3.3 billion views!